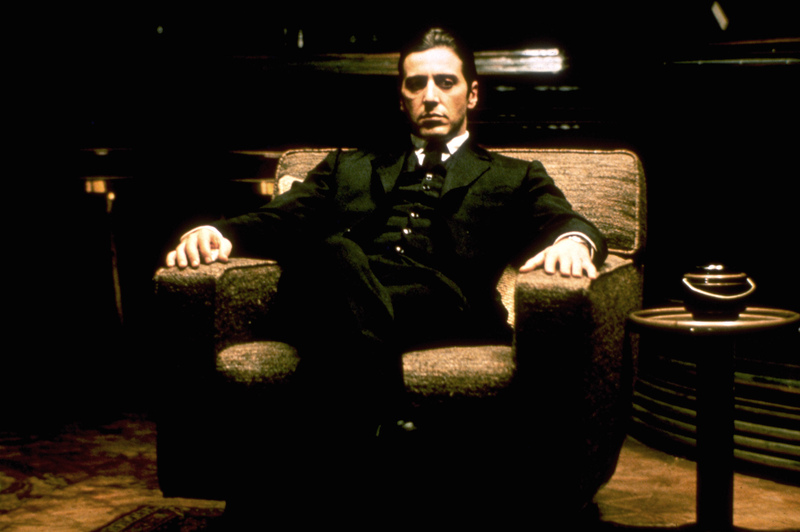 The Godfather is considered to be among the greatest films of all time, itself winning three Oscars, but the film that followed became even more acclaimed; the 1974 sequel, The Godfather: Part II. Even today, the film stands the test of time and still deserves the critical attention it received. Robert De Niro and Al Pacino starred in probably one of the greatest sequels of all time, arguably even surpassing the masterpiece that was the first Godfather, even one of the greatest films of all time. Part II received critical reviews and won Best Picture at the Oscars in 1975, as well as a further four Oscars, becoming the first sequel to do so in the Academy’s history. The 40th anniversary is approaching and to celebrate, a look back at the production of the film and some stories from behind the scenes. The Godfather: Part II won the 1974 Academy Award for Best Adapted Screenplay yet only the scenes with young Vito actually feature in the novel by Mario Puzo, in just one chapter. The rest of the film revolves around Michael Corleone taking over the family business, which is completely original for onscreen. When filming hadn’t even finished for the first Godfather back in 1972, a sequel was already in the works thanks to the increasing hype for the film. Marlon Brando was initially considered to reprise the role of Vito Corleone in Part II but Coppola remembered how well Robert De Niro auditioned for the first Godfather and cast him instead. Brando was then asked to appear in the flashback scene but didn’t turn up on the day of shooting, this was due to the bad treatment from Paramount Studios that Brando suffered throughout the first film. Robert De Niro, who won an Academy Award for his portrayal of the young Vito Corleone, actually lived in Sicily and learnt the Sicilian dialect for four months prior to filming. His Oscar winning performance made him only the sixth actor to receive the award for a non-English speaking role. The other actors were Sophie Loren, Benicio Del Toro, Roberto Benigni, Cristoph Waltz and Mario Cotillard. Francis Ford Coppola did not enjoy his time directing the first film, so much so that he was almost fired several times, and actually wished to be replaced for the sequel. Coppola even went as far as suggesting Martin Scorsese to take the reigns, but the studio rejected and Coppola reluctantly directed once again. If you wanted to rewatch the classic film, or even if you’ve never seen it, The Godfather Part II is available to watch online with Netflix, along with the rest of the trilogy.